My brother still wears the vintage Woolrich buffalo-check shirt that I gave him for Christmas 10 years ago. I bought it for $5 at a thrift store in northern Vermont. In 2009, the year after the recession hit, our family decided to host a repurposed-and-recycled gift exchange. This was, by far, my favorite holiday-shopping experience. Not only did it lighten the financial load, but the hunt for “the perfect” secondhand gift sparked our imaginations and put one-of-a-kind items under the tree. I often think of that red plaid shirt and the stories it could tell. I’d love to know when it was made and whose closet it hung in before becoming part of my brother’s wardrobe. The shirt still looks as good as new, but it could be over a century old. After all, the buffalo-check fabric is the very first product Woolrich produced in its Pennsylvania-based woolen mill beginning in 1850. I have warm memories of that recycled Christmas: the fun of turning what would have otherwise been a stressful shopping experience into an exciting hunt for discarded treasures; the anticipation as each opened gift revealed another unique find; and the fact that I bought everyone in my extended family a special something, all for under $50. You’ll get more for your money. High-quality used products cost a lot less than cheaply-made new items. You can find beautiful, unique gifts that have already passed the test of time. Most older products, like my brother’s shirt, were made to last. Buying (and donating) used products keeps perfectly good items out of landfills. Rubber, leather, and textiles make up more than 9 percent of municipal solid waste in the U.S. And solid waste is on the rise. The total generation of municipal solid waste in 2015 was 262.4 million tons, up 3.5 million tons from 2014. Your purchases benefit your community. Most secondhand stores are run by local charities, so you know your money is being put to good use right in your backyard. You’ll bypass the unnecessary plastic packaging that’s overwhelming our landfills and littering our oceans. Used products don’t generate pollution or require energy to create. Overproduction of consumer goods is a drain on natural resources, and the excess waste threatens our environment, health, and safety. Tired of all the holiday advertising? Buying secondhand is a simple way to avoid mass-produced products and push back on advertisers and corporations telling you what makes a great gift. I’ve found beautiful handmade scarves, hats, and sweaters, as well as designer jeans, jackets, and belts at the most unassuming, hole-in-the-wall thrift stores. Purses and bags. You’ll be amazed at how many accessories people buy and never use. Handmade mugs, vases, tea pots, and other pieces of pottery. These are my favorite items in the secondhand treasure hunt. Instead of splurging on one new book, you can spring for an entire collection at a used book store. You’ll find a wide selection of bracelets, rings, necklaces, and earrings. The trick will be walking out with just one! Buying and framing a piece of artwork might break your holiday budget, but you can find secondhand framed paintings and photographs at affordable prices. We can’t hold on to our kids’ toys forever. That’s why, at thrift stores, you can find classic toys like Thomas the Train engines, Legos, and Tinker Toys — for a fraction of the cost of buying new. Buying secondhand saves money, benefits the environment and local charities, and puts unique, well-made products back to use. Plus, you’ll have a lot more fun perusing your local thrift stores than fighting the crowds at the mall — or shopping alone in your living room. I promise. There are several resale shops nearby: Ellaway’s Attic Consignment Store, Encore Designer Consignment, and Who Is Sylvia? in Woodstock; Bridgewater Thrift Store in Bridgewater; and Listen Thrift Store and Revolution in White River Junction. DO JUST ONE THING: Visit (and donate to) your local thrift or consignment shop. Just do One thing: Come to the Button Up launch event at the Woodstock Town Hall on Monday, Oct. 29,, at 6:30 p.m. Ask about simple ways to insulate your home. Weather strip around doors and windows. The first step to determining actual value of a home with energy efficient features is to get a copy of the “Residential Green and Energy Efficient Addendum” (https://bit.ly/2J8Skrk). You can fill out your home’s energy-efficient features and then give the form to your professional contractor to add what they have done. An appraiser who has learned how to value a home according to its “green” features, will use this form to determine actual value. You can find a local “green” appraiser at this website: https://bit.ly/2q4Hfil. Appraisers inform the home owner/seller and their real estate agent of the added value of their property due to energy efficient renovations. Locally, our multiple listing service, through the efforts of the Northern New England Board of Realtors, has been adding data-entry fields to identify green features and certifications. Being able to search the MLS for homes with green features helps agents search for sustainable homes and properties, and allows builders and sellers to market their green endeavors. Lenders are also recognizing the added value of homes with green features. A buyer looking for a mortgage should find a lender who uses informed appraisers. Energy upgrades both improve the value of your home and save you money. 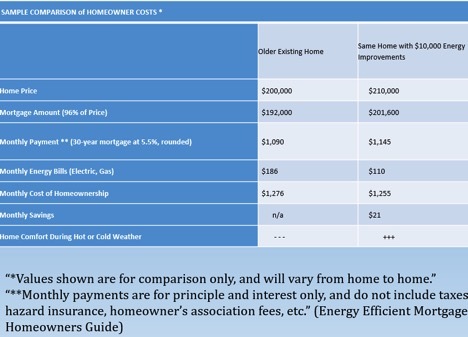 FHA (Federal Housing Administration) and VA (Veterans Administration) allow mortgages to include energy efficiency upgrades, so that, even with a higher mortgage, your monthly costs can be lower (See the chart below that references the energy efficient mortgage homeowners guide available at: https://bit.ly/2NYcGEq). Nature Fix,” by Florence Williams. nature fortifies our brains with needed rest. various environments wearing an electroencephalogram cap to track brainwaves. 50 minutes, cognitive performance improves. hours many now devote to screen time. gentle breezes to test their own reactions, and hopefully calm their brains. one of the silent meadows and absorb the view of distant ridgelines. creates a flawless reflection of the surrounding trees and hills. hundreds of wild orchids bloom there. trained facilitators, but also offers advice for self-directed, solitary forest bathing. bathing is not a workout, there should be no effort to “achieve” anything. should be no attempt to duplicate them. earthiness of the soil. Look about, for things that you haven’t noticed before. thoughts in you. Choose a comfy spot and just sit for another 15 or 20 minutes. the National Park, for example, could be an ideal venue for a walking meeting. known to relax the brain and open it to new ideas? curiosity and a more outward, helpful, collaborative focus. Your brain, and your body, will love you for it. In many ways weatherization is like infrastructure, very important but not appealing because maintaining something old is not as attractive as building something new. It may not be the “sexiest” option, but creating more efficient homes is extremely important. In Vermont we have a tradition, we green up in the spring and button-up in the Fall. 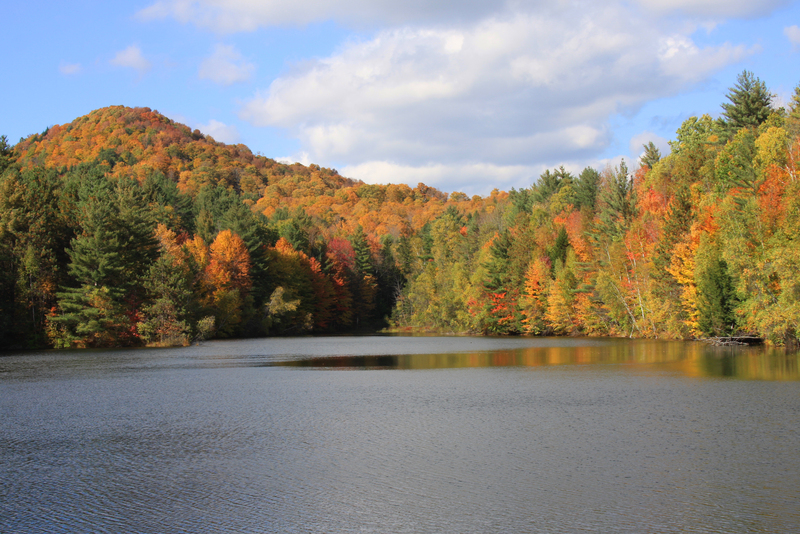 Button Up Vermont reminds us that tightening up our homes for the winter is just the thing to do. Many homes in Vermont are over 100 years old making us the second oldest housing stock in the country. Because of their age, many homes are inefficient, allowing for heat and air conditioning to literally go right out the window. Creating a more efficient home, or weatherizing your home, will save you money. Many weatherized homes will see at least 25% in energy savings. Weatherizing an inefficient home will not only save you money, it also reduces your carbon footprint. Vermont’s Comprehensive Energy Plan wants to see us reduce our carbon emissions; one of its goals is to have 80,000 homes reduce their energy usage by 25% by the year 2020. Unfortunately, we as a state are not weatherizing fast enough and we are far from meeting our current goals, which is another reason why we all need to think of ways of tightening up our homes. Not everyone can afford to pay out of pocket for weatherization upgrades, but don’t let that stop you there are many great programs around Vermont to help incentivize weatherization Projects. The Home Performance with Energy Star program, administered by Efficiency Vermont, “is an incentive-based program to improve insulation and air sealing, plus heating and ventilation systems, to ensure safety and health.” Participants can receive up to $2,000 towards their home air-sealing project. The program starts and ends with an energy audit and blower door test. Visit the Efficiency Vermont website to choose a professional energy contractor to come and conduct an audit of your home to determine what you can do to start saving money on your energy bills. The Capstone Community Groups offer the Weatherization Assistance Program to income qualified renters and homeowners. If you qualify they will come and complete upgrades on your home at no cost to you. Contact them immediately if you think you qualify as the waiting list can be long. Efficiency Vermont’s Mobile Home Replacement program works to incentivize mobile home owners to replace their old inefficient homes with more efficient and sustainable options like Vermod Homes or Irene Cottages. Efficiency Vermont will pay up to $10,000 have your old mobile home replaced, and also to lay a foundation for the new mobile home. They will also work with homeowners to find financing options for a new mobile home. This year Sustainable Woodstock will be hosting a number of Button Up events over the next couple weeks as part of Efficiency Vermont’s Button Up Hero weatherization program. As a Button Up Hero community residents can receive a free walk-through assessment, scope of work, and cost estimate from a qualified contractor vetted by Efficiency Vermont. Residents sign-up by completing a brief survey before December 15. Walk-throughs will be completed between November and March, and Efficiency Vermont will offer prizes for residents who commit to a home energy project by Earth Day in April 2019. In addition, we will will host engagement activities and hand out free energy efficiency kits! We hope you can join us to learn ways to save money on your energy bills, reduce your carbon footprint and to live more comfortably! Join us for the upcoming event. Join us for discussion, workshops, FREE LED lightbulbs. These workshops are for Vermont homeowners to help them better understand the steps they can take to make their homes more energy efficient and comfortable in very clear language and simple steps. We encourage Vermonters across the state to take action by “Buttoning Up” their homes. Just do One thing: Attend a Button Up event!